Multiple credit cards have its advantages and disadvantages. When you have more of them, you are more likely to spend freely. However, if you are mindful of your actions, you can use all your credit cards and would not have to pay a single rupee as interest, maintain high credit score, and get more rewards. If managed properly, credit cards are great instruments to enhance your credit score. With the mismanagement of credit cards, lies the risk of mounting debt that is harder to pay off. 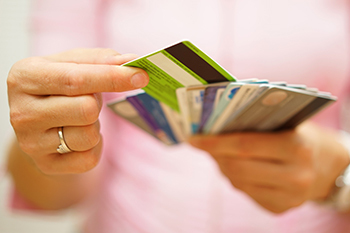 The dangers of credit cards are a widely discussed topic. However, with wise management, credit cards can prove to be a boon. It not only helps better your credit score, but also gives you a lot of flexibility in terms of finances. Managing a single credit card is easy. However, when it comes to multiple credit cards, it becomes a little tricky. However, if you know how to manage multiple credit cards, you can own as many of them as you like. Multiple credit cards have its advantages and disadvantages. When you have more of them, you are more likely to spend freely. However, if you are mindful of your actions, you can use all your credit cards and would not have to pay a single rupee as interest, maintain high credit score, and get more rewards. Here is how to manage all your credit cards efficiently. The first step to manage all your credit cards efficiently is to be mindful of why you are applying for a particular card. Some cards provide great offers on travel; some have better offers on online shopping, some offer better cashback and so on. Make sure that you have a purpose in mind when you apply for different credit cards. Having multiple credit cards which serve same purpose is not a useful strategy. For instance, if you travel a lot, find a credit card that gives you better offers on travel and use it to book tickets and hotels etc. Similarly use the credit card which gives you better cashback offers on online transactions to make online bookings, recharges and purchases. The credit card which offers maximum reward points should be used for bigger purchases like consumer durables, furniture etc. Do not mix up the usage of credit cards until absolutely necessary. If you have multiple credit cards with their due dates on different weeks of the month, it will be difficult for you to keep track of them. There is high chance of forgetting the due date of a credit card. It is also highly probable that by the third week of the month, you do not have enough money to pay your dues. Therefore, make sure that the due dates of all your credit cards fall in a single week. There are different mobile apps that allow you to list all your credit cards together to manage them more efficiently. These mobile apps send you the reminders about the amount and due date of the credit cards that you have. You can either download one such app or set reminder in your calendar to make sure that you are always on top of your payments. No matter how tempted you are to make the minimum payment on your credit cards, the best way to manage them is to make full payments. It will keep your credit in check. Just because your credit card offers you high reward points, it does not mean that you should spend on things that you don’t need just to get those reward points. This reckless spending can increase your debt in no time at all, which will be pretty hard to manage. When people have multiple credit cards, they tend to close the ones that they are not using. However, unless you are not paying excessive fees on those credit cards, closing the account can affect your credit utilization ratio, which in turn will affect your credit score negatively.